Most often a prescription of antibiotics is necessary three (3) days prior to treatment to ensure the successful anesthetization of the infected tooth. If this prescription is followed, the root canal procedure will be virtually pain free. There are many various types of materials dentists will use to fill the inside of a tooth once the infection has been removed. Recently, a new filling material call bioceramic endodontic sealer has been invented. An article published in 2009 by Harvard School of Dentistry professors, Dr. Ken Koch and Dr. Dennis Brave entitled "Bioceramic Technology - The Game Changer in Endodontics" has demonostated that most successful endodontic treatments occur when bioceramic technology is used. 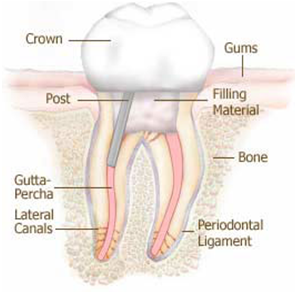 Our dentists use this state-of-the-art material in all root canal treatments. 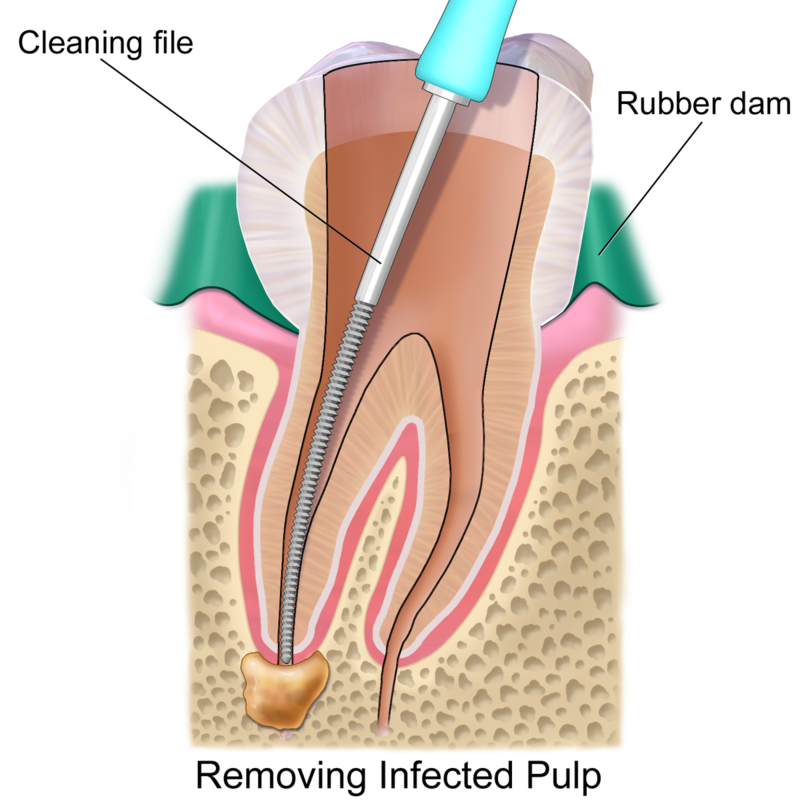 Delaying root canal therapy when deep tooth decay is present can cause serious damage and infection to the nerves and vessels inside the tooth. Pain usually worsens until one is forced to seek emergency dental attention. Antibitoics alone will not eliminate this type of infection. Without treatment, the infection will spread, bone around the tooth will begin to degenerate, and painful swelling will occur. This sever infectious condition may be life threatening. The only alternative is extraction of the tooth; which can cause surrounding teeth to shift, resulting in an irregular bite. Althought an extraction is initially less expensive, the space left behind will require a dental implant or a bridge, which is more expensive that root canal therapy. 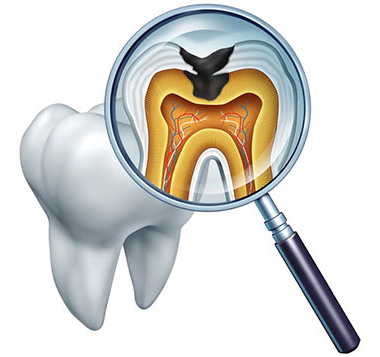 Keeping your natural teeth is always best--root canals therapy can make this possible. A tooth with symptoms such as a dull ache, pain when chewing, lingering sensitivity to hold or cold, or spontaneous throbbing most often requires root canal therapy--commonly called "a root canal." 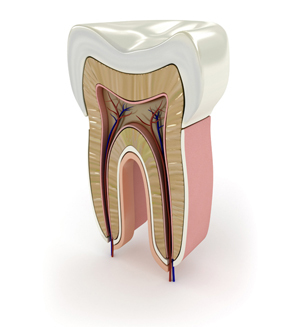 All decayed tooth strucutre and the nerve tissue that fills the inside of the tooth is remove. 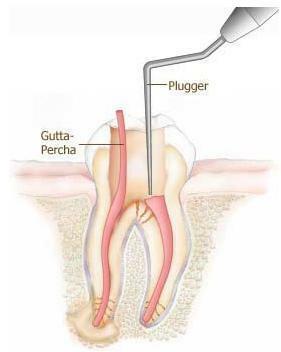 The root canals are then enlarged to allow for irrigation with anti-baterical medicine. The root canal space is now ready to be sealed. A rubberized point made from gutta percha coated with bioceramic sealer prevents bacteria growth. A large amount of tooth strucutre was necessarily removed upon completion of the root canal. Because of this, a dental crown is necessary to not only seal the root canal but to also prevent the tooth from breaking in the future.